Google Inc., Mr. search engine giant or a technology giant :) brought to us the best Mobile Operating System for our smartphones. Nowadays, it is tough to think without Android smartphone on hand. Android is an open source technology, Android has lots of technologies integrated. On the other hand, Android supports various languages like C, C++, Java, XML, PostgreSQL and so on. Moreover, Android operating system supports numerous industry-specific applications along with high-end entertainment apps for the individual, corporate houses, and small businesses. With the Android emerging success, we also started working with Android since 2010. As our experience, we are one of the best Android Development company in Bangladesh. As you know, Tritiyo Limited is a renowned name in Website Design and Development and Software development industry based in Dhaka, Bangladesh. Tritiyo Limited is very eminent as a software development company and also exceptional on open source software development, mobile application development, and web application development. As an android development company in Bangladesh, we have a great team to build android native or web view application with the latest technologies. 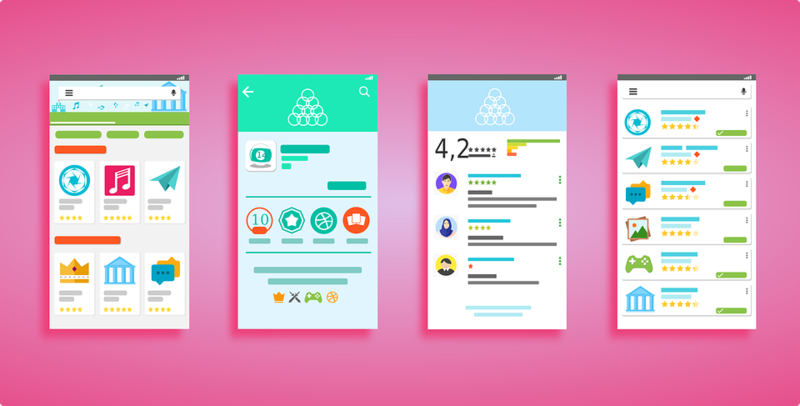 Our skilled and professional development team ensure the satisfaction of clients and they match all the requirements of Android App Development. Tritiyo Limited cares about their clients and their ideas. Tritiyo Limited believes that each and every APP are unique and his own unique value. Because of our strategy, you can easily distinguish Tritiyo Limited and mark us no. 1 as an Android Development Company in Bangladesh. As I said earlier, we are our clients and their ideas. We follow every requirement you're brought to us, we analyze every aspect, we analyze the failure facts, indeed. By that, we provide the crystal clear scenario to our clients. Our analysis also provides the project costing, development timeframe and support factors properly. In short, our clients get the whole image of their project success. Our project profiling report makes developers life easy to develop an Android App. On the other hand, project profiling helps our clients to set their expectation. Whether there is a requirement of multi-platform application such as Android, iPhone, Windows Phone or a dedicated application. Our Android Development team will provide you the best solution always. Our Android App Development team is skilled enough on the latest Android SDK and other latest technologies related to Android App Development. Note: We don't build any Android Games. Your life will be easy when we will make an Android Application for you with a good design. Cheers! Would like to discuss your Android Application? Feel free to contact us.